This is a patch for Space Wiking's Dwemer Exeskeleton to make it work alongside Disparity and Imperious. This is a patch for Space Wiking's Dwemer Exeskeleton to make it work alongside Disparity and Imperious. 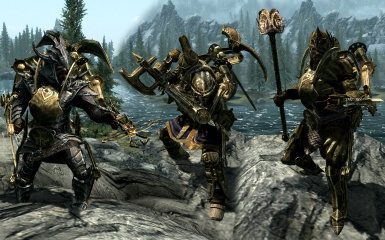 Disparity, Imperious, Imperious Disparity Patch and Dwemer Exoskelton are required in addition to this patch. This patch should be loaded after everything else. Images taken from Space Wiking's Dwemer Exoskeleton page. This is a very small patch that only touches races and should be compatible with any mod that does not alter races directly.